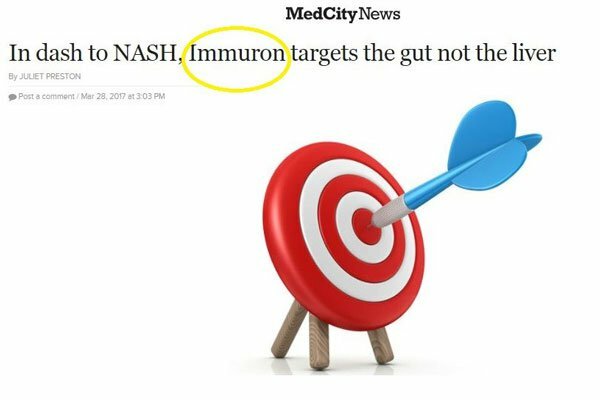 Immuron Limited (ASX: IMC) is working in the realm of oral immunotherapies, targeting inflammatory-mediated and infectious diseases and is uniquely positioned to address large unmet needs. The global immunotherapy drugs market is projected to reach US$201.52 billion by 2021 from US$108.41 billion in 2016, yet the biggest need could come in the non-alcoholic fatty liver disease market (NAFDL), estimated to be worth $35 billion. The incidence rate of fatty liver disease, particularly Non-Alcoholic Liver Disease (NAFLD) was estimated to increase approximately by 20 to 25% in 2015, with the market for treatments anticipated to grow significantly during the forecast period. The advancement in technology, personalized medicine and cost-effective treatment procedures are few other factors predicted to fuel growth of the global fatty liver treatment market. However, the side effects associated with the current treatments in development, and increasing stringency in the regulatory requirements, are some of the major factors that could limit the growth of the global fatty liver treatment market. IMC has the only asset – IMM-124E – in development that, due to its safety profile, could potentially target the entire spectrum of the disease and can also be used in combination with other agents currently in development. IMC is well positioned to address high unmet medical needs in multiple blockbuster markets. Since our article in March titled ‘ ASX Stock to Launch on NASDAQ with Gut Busting Immunotherapy Products ’, IMC has come out with several major developments, and managed to capture investors attention in a big way. But there’s plenty more good news expected over the coming months, and this is only just the beginning for this emerging growth story. Recently the company has expanded its major collaboration with the Walter Reed Army Institute of Research (WRAIR), a segment of the US Department of Defence, to develop an anti-infective human therapeutic. Put simply, a non-antibiotic drug to fight infection. This has been done as part of its development of IMC’s anti-infective platform, which includes the development of three new Shigella-specific products for preclinical evaluation. Shigella is a gram-negative bacteria, which causes about 165 million cases of severe dysentery per year, resulting in one million deaths annually. Unfortunately, no approved vaccines currently exist for Shigella. IMC is working to reverse this situation and is being funded in part by WRAIR and by The Armed Forces Research Institute of Medical Sciences (AFRIMS). The studies will evaluate and assess its anti-infective platform including in Non-Human Primate (NHP) clinical studies. That’s not the only news sparking interest in this under the radar biotech play. 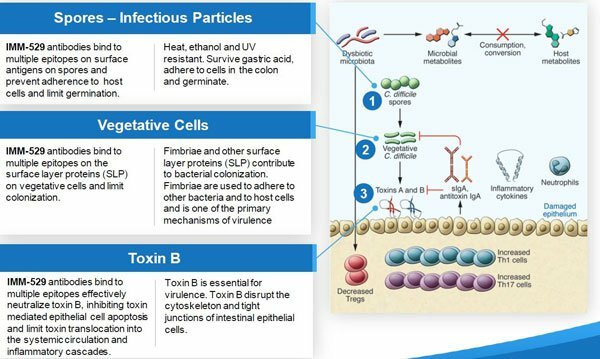 Last week, IMC also announced it had completed manufacturing supplies of IMM-529 for its C. difficile Phase I/II Clinical Trials set to commence Q2 2017. 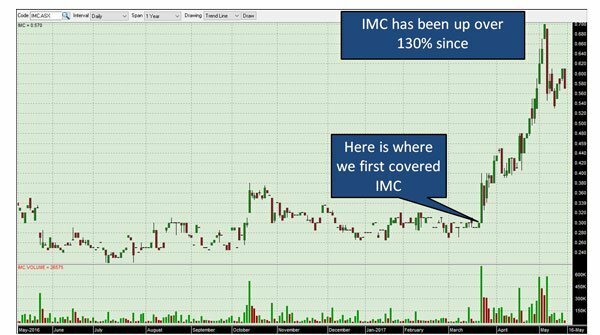 IMC look to be ascending several ladders at once, as it also navigates all the red tape required towards a NASDAQ listing... and on this front, it’s hoping the red tape can be replaced with a blue ribbon finish line ASAP. IMC is certainly taking the fastest route it can to a NASDAQ listing and expect to be listed within months. 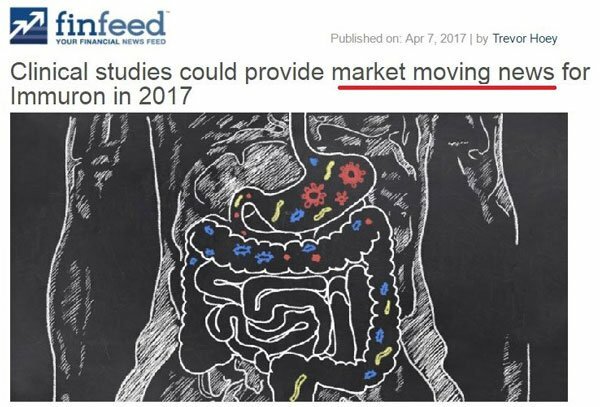 At the same time, IMC announced the completion of the first stage of its colitis preclinical program for IMM-124E at the University of Zürich in Switzerland. funding assistance from a major government body, multinational exposure and malleable management style. Travelan is generating revenues for IMC right now, but it’s the clinical stage assets that may be the biggest value driver in this stock. 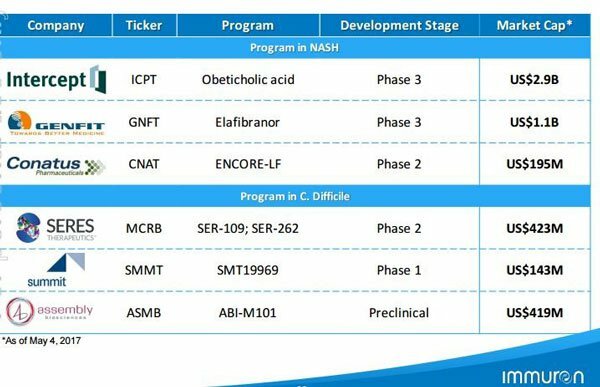 Considering the level of interest from Big Pharma on fatty liver diseases that IMM-124E is designed to treat such as NASH, AFLD, and paediatric NAFDL, there is no doubt IMC is on the right path. So, let’s look further into what has been driving the company forward. Just this week, IMC announced it was expanding its existing agreement with the US Department of Defence (DoD) , finalizing an agreement with the Walter Reed Army Institute of Research (WRAIR) for the institute to provide funding towards the development of three new Shigella-specific anti-microbial products based on its anti-infective platform. Working so closely with the US DoD is a major signal that this company’s treatment platform is showing promising signs, not to mention the legitimisation of being chosen as a partner by such a major institution as the US DoD. WRAIR will fund the evaluation of the therapeutic potential of the products, and will assess their protective capacity in established mouse and guinea pig small animal models. The expanded agreement now includes work to be performed by The Armed Forces Research Institute of Medical Sciences (AFRIMS, the US Naval Medical Research Center headquartered in Thailand), who will fund and perform research via Non-Human Primate (NHP) clinical studies. If you’re not familiar with Shigella, it is a highly virulent pathogenic organism that causes disease in humans even at low doses – which means it can spread fairly easily from person to person. Animal models that mimic the action of Shigella in humans have been essential in determining product efficacy, so this development is no small feat. The DoD has a history of investing in the development of novel therapies for infectious diseases, which means it is well-equipped to provide support, resources and expertise – invaluable to a small cap like IMC, particularly at this stage of its growth. Considering this is a non-antibiotic option, it is particularly attractive as a new treatment. The widespread use of antibiotics over the past several decades has helped create antibiotic-resistant infectious diseases – a major ongoing concern for many in the health researchers and governments. 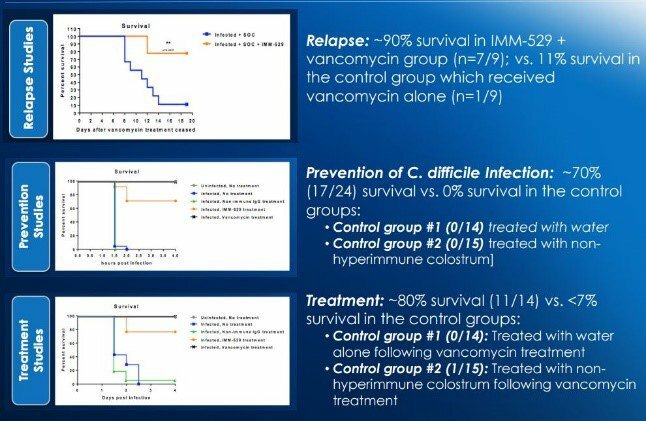 So a unique and promising treatment – which works in a different way to antibiotics and could be truly ground-breaking in the fight against infectious disease across the board – puts IMC in a very good position... and starts turning a nice-sounding idea turn into an actual, game-changing reality. In the realm of its IMM-529 asset, the work has so far focused on its use in treating C. Difficile – a bacterium that kills 30,000 people a year in the US. The key pieces of news around the IMM-529 clinical candidate is the fact IMC has completed manufacturing the trial supplies for Phase I/II, as it announced to the market last week. CSIRO Separations Science team and Pharmaceutical Packaging Professionals manufactured it on IMC’s behalf, with the funding partly provided via a $50,000 grant from the Food Innovation Australia Ltd.
Of course, this product is in an early stage of development and if considering this stock for your portfolio you should take all public information into account and seek professional financial advice. 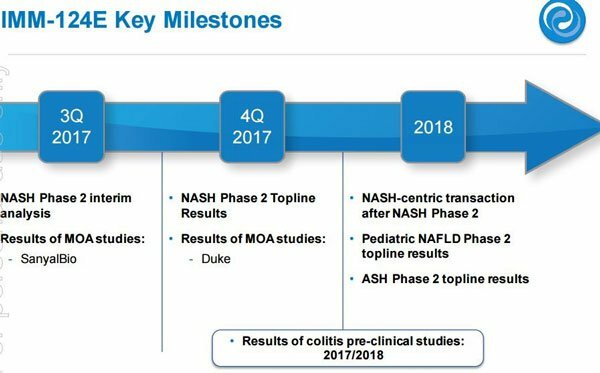 Each of these steps bring IMM-529 closer to passing trials, closer to fully approved and marketable products that could pose considerable revenue opportunities down the track... and potentially closer to a major deal with Big Pharma. The beauty of IMC as a whole is the fact both its clinical assets and its on-the-market product ‘Travelan’ are borne of the one immunotherapy platform... which has seemingly endless potential. And a growing body of investors appear to be realising this. With Phase I/II on IMM-529 C. difficile asset due to commence within months, we can expect plenty of news flow in the coming weeks and months. Progressing towards a Cash deal for NASH? 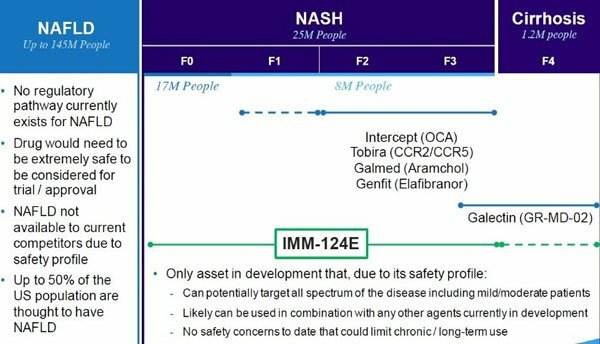 The most obvious money-maker in IMC’s portfolio is its IMM-124E NASH (Non-Alcoholic Steatohepatitis) asset which is about to commence all-important Phase II Clinical trials. The announcement in April that it had successfully randomised its 134 th subject, marking the official completion of the recruitment process, was welcome news for investors. But, in fact, the company released an announcement back in February saying it had completed the recruitment for Phase II Trials. As it turns out, strong patient demand saw IMC allowing additional subjects already in the screening process to progress further and enter the randomisation stage to determine eligibility. Which is why the total number of subjects is now 134, not the initially planned 120. That is a pretty ‘healthy’ sign, if you ask us – and will hopefully prove to be a healthy outcome for the extra participants. ... and potentially arrive at a market cap several multiples of its current $60M. This is of course speculative on our part and investors should seek professional financial advice if considering this stock for their portfolio. As you can see, deals worth hundreds of millions of dollars have been done and IMC would be hoping to tread a similar path. For some small cap biotechs that take an asset this far through the clinical process, there is the lure for a Big Pharma transaction. Those that have managed to do this, tend to enter the fast lane to the land of Mid-Caps. 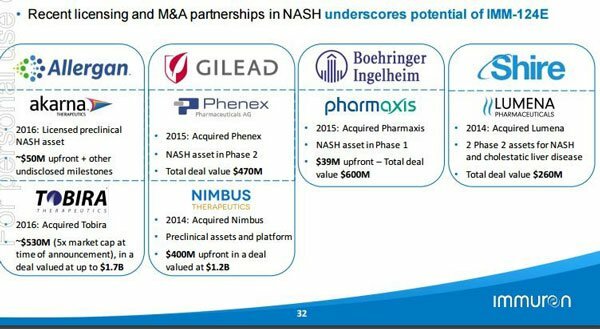 Could IMC announcing a major deal on its NASH portfolio in the next 6-12 months? Considering the interest from investors so far, a NASH portfolio deal could see IMC heading towards a sharp uptick. It’s not just the ‘dash to NASH’, however. And the sky looks to be a bright blue as IMC prepares to take an even stronger foothold in the US market.